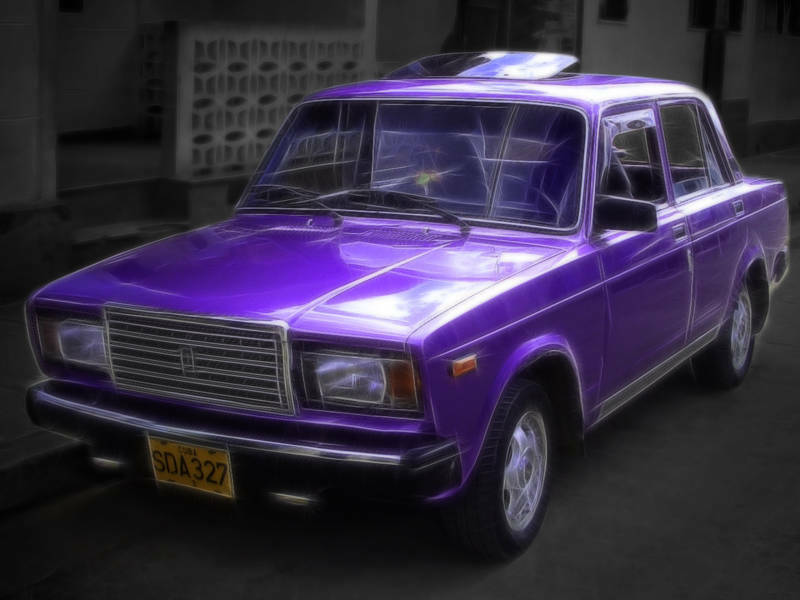 I decided to have a go at pimping this Lada from Cuba. If anybody knows the model please leave a comment. To process this image I used the same technique as Red Chevy. Orton Effect, Fractalius and Selective Desaturation. Good work and treatment ! Original ! This is LADA VAZ-2107 model. Have a nice day. Thanks dude, You know your cars.